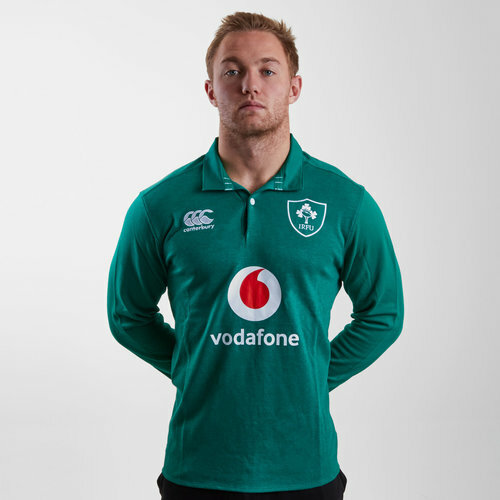 Show your true green colours whether it's out and about, in training or at the Aviva Stadium, make sure you look your best in this Ireland 18/19 Home Classic L/S Rugby Shirt from Canterbury. 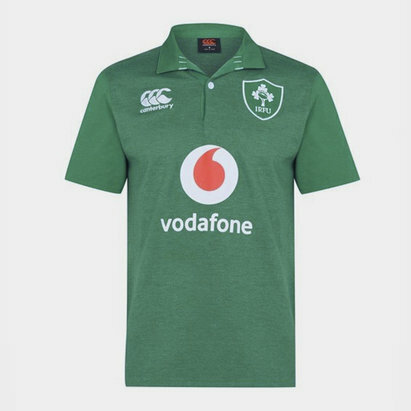 Sticking with what they know best and their traditional colours Ireland have used green for their home shirt. The CCC logo is on the right whilst the Irish Shamrock is on the left. The team's partner sponsor, Vodafone - a collaboration since 2016, is across the chest. This shirt comes with an old school collar and long sleeves.